You want to start making your own fresh juices, but buying a juicer isn't part of your current budget plan. No problem. Blenders make an excellent alternative to juicers. Blender juicing works best with soft fruits, such as peaches, apricots, pears, grapes and oranges. Bananas and avocados give your juices a thicker consistency. Juicers automatically separate the juice from the pulp in a pulp bin. By making your juice in a blender, however, you have the choice of drinking your juice pulp-free or retaining some pulp, which adds fiber to your juice, helping to stabilize blood glucose and make you feel full longer. 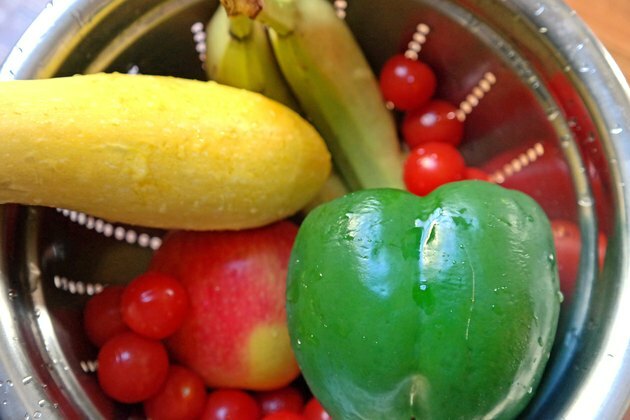 Wash your fruit and vegetables thoroughly, using cold, pure water to decrease the risk of contamination that could cause food-borne illness. Avoid washing produce in detergents. Soaps may leave residues, which are unhealthy to consume. For produce with thicker skins, such as cucumbers, use a vegetable brush to remove all dirt and debris. Remove any cores, seeds and pits from your produce and cut your fruit and vegetables into 1-inch or smaller pieces, using a cutting board and sharp paring knife. 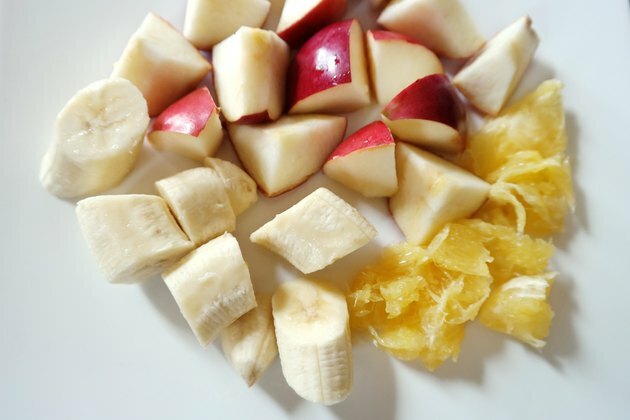 The smaller you cut the pieces, the easier it is to liquefy your produce in the blender. Place your food pieces into your blender and add about half a cup of pure water to the blender for every four large pieces of fruit or for every 4 cups of small fruits, such as berries, that you use. Put the lid on the blender. Blend the mixture on the medium setting for several seconds. Stop the blender and put the setting on the high setting. Blend for several seconds on high until the juice is the desired consistency. Add more water as needed, and continue to blend for a few more seconds if necessary. 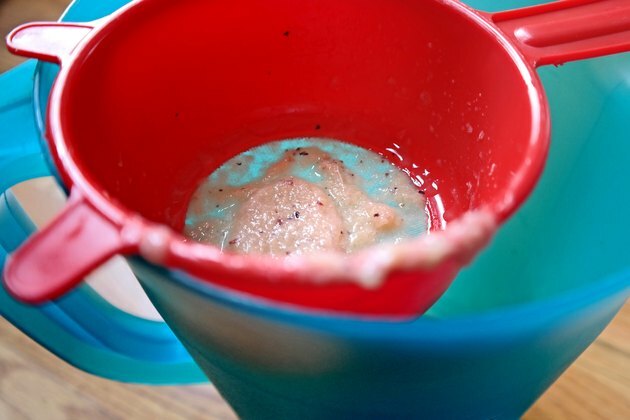 Separate the juice from the pulp by pouring the juice through a mesh strainer or cheesecloth into a container -- if you want pure juice -- and then discard the pulp. Serve your juice immediately or store it in the refrigerator in an airtight container for no longer than 24 hours to minimize loss of nutrients. To keep your juice from discoloring during storage, add a teaspoon or two of fresh lemon juice to your juice. Strong-flavored foods such as beet greens and spinach taste best when combined with other fruits and vegetables. 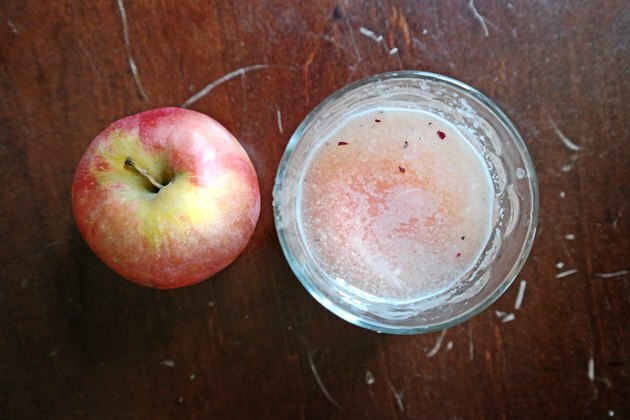 Apples and carrots are a good choice for adding a touch of sweetness to juiced vegetables. AARP: Juicer vs. 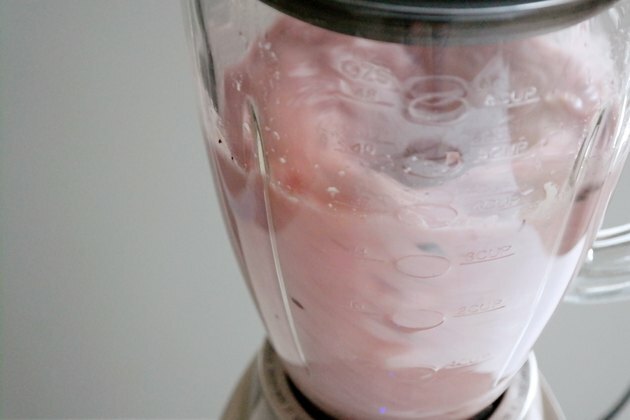 Blender: Which Is Healthier For You? ConsumerReports.org: Blender vs. Juicer For Your Vegetables?